With the advancement in technology, mobile devices have become a necessity. SPEMedia offers mobile application development services that deliver custom mobile experiences for most platforms such as Android and iOS from our offices in Harare, Zimbabwe. With the rapid expansion of smart mobile phone usage in Zimbabwe and with more people using the internet, exploit this development and reach more customers. Use mobile applications to maintain your Customers Relationship Management to get more business from your current customers by getting repeat business. Although there might be slightly more investment for mobile application development, there is also a reciprocal increase of business from it. Call us on 0776 260 360 and talk to us to find out how you can benefit from mobile apps today! Many operating systems offer many opportunities. However, they also pose unique challenges due to the proliferation of hardware. Our experienced developers will minimise difficulty posed to UI while using the latest trends in order to support app creation at all stages of development. We have a team of designers who will bypass native development which helps speed up time to launch. Also, they will minimise the impact on UX so as to maintain and satisfy end users. Ultimately, this allows developers to utilise fully, the capabilities of native platforms while at the same time, sharing business logic across the platforms. Working in iOS will allow us the ability to work across iPad, iPhone and Apple Watch in Zimbabwe. Whether you want the app specifically developed for hardware or to just extend functionality, we will integrate it with hardware so as to provide a whole new set of opportunities for businesses. The Internet of things (IoT) has brought a new wave of technology which is accessible through mobile apps. For that reason, we develop high functioning mobile apps with hardware interactions through Bluetooth, Wi-Fi, NFC and many others. Custom mobile app development has many benefits apart from the cumulative impact it has on any business. Listed below are some of the benefits that can be enjoyed from having a mobile app. Google Play Store and Apple Store are huge catalogues. These two mobile app stores are navigated and searched daily by millions of people worldwide. This means that a mobile app will give your business new traffic, a new set of customers as well as a new platform to gather ratings and reviews from your customers. A mobile app that has basic functions can be distributed for free. However, advanced features can be sold through in-app purchases. This means more users will discover and install your app. ultimately, you can connect and communicate directly with your customers whenever you want. Mobile phones simply allow businesses to connect with their customers. Mobile phones can unlock new ways to reach users, start new sales opportunities or build a good rapport. Can you help me with getting a mobile application developed in Zimbabwe? Yes we can! 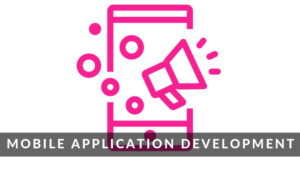 Why not give us a call on +263 776 260 360 or email us to discuss your mobile application project whether you are in Harare or anywhere in Zimbabwe. Get a free no obligation estimate or contact us to discuss your exact requirements. We appreciate that your business is unique in its own right. Therefore, we will develop a personalised mobile application design plan and approach for you. Kindly fill the form below and we will reply you urgently with a custom pricing quotation. We are open from Monday to Friday 8 am to 5 pm.